Today, LoopPay announced that they were acquired by Samsung. This wasn’t entirely unforeseen, considering rumors have been popping up regarding LoopPay’s future integration with Samsung phones. The LoopPay system is a new technology that is tied to the current magnetic stripe credit card system. 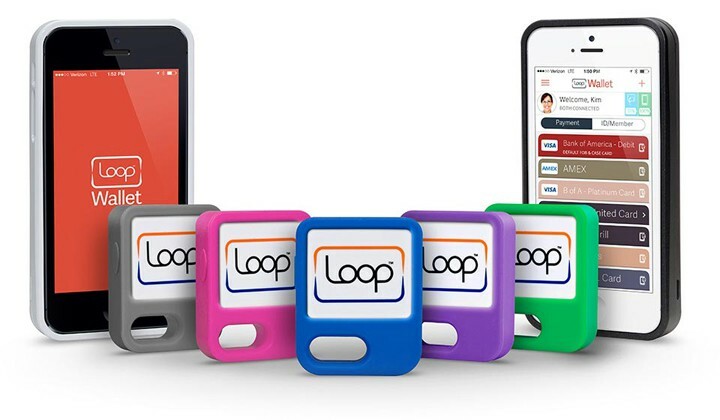 Using a small loop of wires in a special hardware device, the LoopPay devices essentially mimic the magnetic field caused by a swipe of a credit card, enabling mobile payments at nearly every existing credit card swipe terminal. The device works like magic– simply place the Fob or Card next to the magnetic swipe slot on an existing credit card machine, press a button on your LoopPay, and the reader will act as if a physical card was swiped. I’ve owned one of these devices for a little over a month (specifically, the LoopPay Card) and it has worked flawlessly every time I’ve used it on a traditional terminal, but there’s one big problem that needs to be solved before LoopPay can become a major player in the mobile payments space. Traditionally, mobile payments require a special NFC terminal and a phone that supports Google Wallet, Apple Pay, or some other alternative platform. With systems such as Apple Pay, which is built into every iPhone 6/6+, NFC payments are only accepted at around 200,000 kiosks. LoopPay doesn’t have this issue– it current supports an estimated 10 million stores because it uses the existing magnetic stripe infrastructure. Several times I have been told “we don’t support that”, when offering up my LoopPay Card. The cashier is confused, and despite trying to explain that it will work with their card reader and offering to show them how, I’ve never gotten them to budge. They have this preconceived notion that their traditional card terminal will only work with actual plastic credit cards, and the public conflicts between retailers and Apple only solidify the idea that a special terminal is needed for anything else. Needless to say, I’ve never tried handing a server my LoopPay– without me physically there to guide them, they certainly would be even more perplexed. In my experience it could be the actual wording I use, but LoopPay actually has a section in their FAQ dedicated to how to sweet talk a cashier into accepting your LoopPay device. The lack of education around this technology is clearly a problem, and there’s no easy solution. LoopPay’s acquisition may actually make the situation worse for a while– if a new crop of phones appears that can make mobile payments at any terminal, this may actually confuse cashiers more. The average cashier may be able to distinguish an iPhone from other devices and know whether they have a terminal that supports Apple Pay, but I certainly don’t see them being able to differentiate the new Galaxy S6 (or, whatever future devices come out with LoopPay integrated) and knowing what to do with it. If LoopPay is simply integrated with the latest round of Samsung phones and people just use it to pay at self-service credit card terminals (that is, where you don’t have to hand your card over to another person), it could bring mobile payments to even more retailers without any effort on their part. Personally, I’ve already replaced my physical credit cards with my LoopPay card for daily purchases. But, even if you still have to use a physical card at restaurants or when handing it over to another person, LoopPay’s integration into Samsung could help smooth the path for mobile payments. Additional features, like one time card tokens (which LoopPay has previously said is in progress for 2015), may also help LoopPay not only become a replacement for your credit card, but a layer of security as well. Right now, LoopPay is largely a technology toy and something for me to fiddle with, but maybe their new life with Samsung can help them expand to more consumers and accelerate the death of traditional credit card payments.